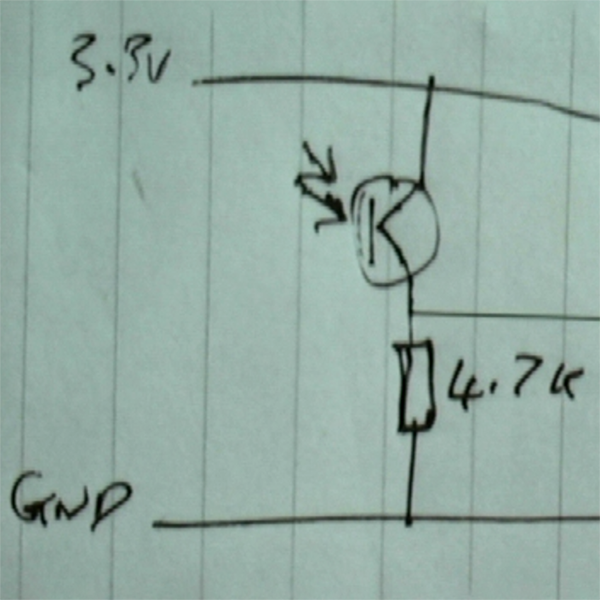 Hackaday regular [befinitiv] wrote into the tip line to let us know about a hack you might enjoy, wireless UART output from a bare STM32 microcontroller. Desiring the full printf debugging experience, but constrained both by available space and expense, [befinitiv] was inspired to improvise by a similar hack that used the STM32 to send Morse code over standard FM frequencies. In this case, [befinitiv]’s solution is both more useful and slightly more legal, as the software uses the 27 MHz ISM band to blast out ASK modulated serial data through a simple wire antenna attached to one of the microcontroller’s pins. The broadcast can then be picked up by an RTL-SDR receiver and interpreted back into a stream of data by GNU Radio. The software for the STM32 and the GNU Radio Companion graph are both available on Bitbucket. The blog post goes into some detail explaining how the transmitter works and what all the GNU Radio components are doing to claw the serial data back from the ether. If you want to eavesdrop on GSM phone conversations or data, it pays to have deep pockets, because you’re going to need to listen to a wide frequency range. Or, you can just use two cheap RTL-SDR units and some clever syncing software. [Piotr Krysik] presented his work on budget GSM hacking at Camp++ in August 2016, and the video of the presentation just came online now (embedded below). The punchline is a method of listening to both the uplink and downlink channels for a pittance. [Piotr] knows his GSM phone tech, studying it by day and hacking on a GnuRadio GSM decoder by night. His presentation bears this out, and is a great overview of GSM hacking from 2007 to the present. The impetus for Multi-RTL comes out of this work as well. Although it was possible to hack into a cheap phone or use a single RTL-SDR to receive GSM signals, eavesdropping on both the uplink and downlink channels was still out of reach, because it required more bandwidth than the cheap RTL-SDR had. More like the bandwidth of two cheap RTL-SDR modules. Getting two RTL-SDR modules to operate in phase is as easy as desoldering a crystal from one and slaving it to the other. Aligning the two absolutely in time required a very sweet hack. It turns out that the absolute timing is retained after a frequency switch, so both RTL-SDRs switch to the same channel, lock together on a single signal, and then switch back off, one to the uplink frequency and the other to the downlink. 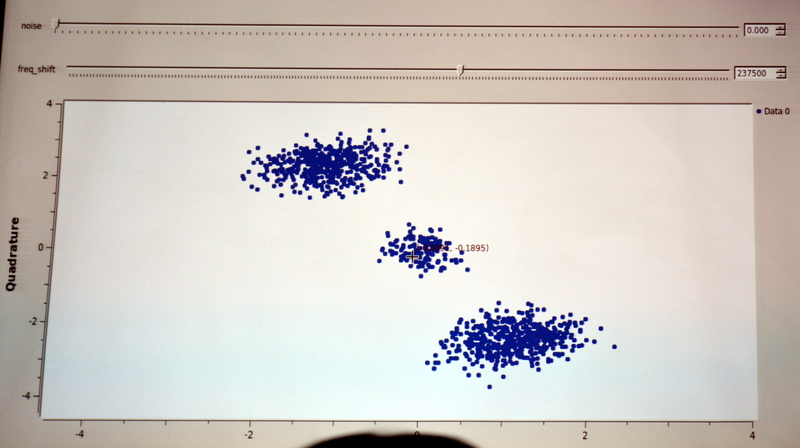 Multi-RTL is a GnuRadio source that takes care of this for you. Bam! Hundreds or thousands of dollar’s worth of gear replaced by commodity hardware you can buy anywhere for less than a fancy dinner. That’s a great hack, and a great presentation. Before Bluetooth, before the Internet of Things, and before network-connected everything, infrared was king. In the 90s, personal organizers, keyboards, Furbys, and critical infrastructure was built on infrared. Some of these devices are still around, hiding in plain sight. This means there’s a lot of opportunities for some very fun exploits. This was the focus of [Mike Ossmann] and [Dominic Spill]’s talk at this year’s Shmoocon, Exploring The Infrared World. What’s the hook? Using software-defined radio with terahertz frequencies. Infrared communication hasn’t improved since the days of IrDA ports on laptops, and this means the hardware required to talk to these devices is exceptionally simple. The only thing you need is an IR phototransistor and a 4.7k resistor. This is enough to read signals, but overkill is the name of the game here leading to the development of the Gladiolus GreatFET neighbor. This add-on board for the GreatFET is effectively a software defined IR transceiver capable of playing with IrDA, 20 to 60 kHz IR remote control systems, and other less wholesome applications. Demos are a necessity, but the world seems to have passed over IR in the last decade. That doesn’t mean there still aren’t interesting targets. A week before Shmoocon, [Mike Ossmann] put out the call on Twitter for a traffic light and the associated hardware. Yes, police cars and ambulances use infrared signaling to turn traffic lights green. You shouldn’t. You can, but you shouldn’t. What was the takeaway from this talk? IR still exists, apparently. Yes, you can use it to send documents directly from your PalmPilot to a laser printer without any wires whatsoever. One of the more interesting applications for IR is an in-car wireless headphone unit that sends something almost, but not quite, like pulse coded audio over infrared. The demo that drew the most applause was an infrared device that changed traffic lights to green. The information to do that is freely available on the web, but you seriously don’t want to attempt that in the wild. [Joel] has a remote control ceiling fan. It’s nothing special, the controller has a low-power 350MHz transmitter and a Holtek encoder to send commands by keying the transmitter’s output. Desiring something a little better, he set about reverse engineering the device’s protocol and implementing it on a Lattice iCE40 FPGA. To decode the device’s packets he reached for his RTL-SDR receiver and took a look at it in software. GQRX confirmed the presence of the carrier and allowed him to record a raw I/Q file, which he could then supply to Inspectrum to analyse the packet structure. He found it to be a simple on-off keying scheme, with bits expressed through differing pulse widths. He was then able to create a Gnu Radio project to read and decode them in real time. Emulating the transmitter was then a fairly straightforward process of generating a 350MHz clock using the on-board PLL and gating it with his generated data stream to provide modulation. The result was able to control his fan with a short wire antenna, indeed he was worried that it might also be doing so for other similar fans in his apartment complex. You can take a look at his source code on GitHub if you would like to try something similar. It’s worth pointing out that a transmitter like this will radiate a significant amount of harmonics at multiples of its base frequency, and thus without a filter on its output is likely to cause interference. It will also be breaking all the rules set out by whoever the spectrum regulator is where you live, despite its low power. However it’s an interesting project to read, with its reverse engineering and slightly novel use of an FPGA. Wireless remote hacking seems to be a favorite pastime here in the Hackaday community. We’ve had 2.4GHz hacks and plenty of wireless mains outlet hacks.